Foster Ogola was born in 1961, he is an indigene of Bayelsa State. He attended Esenaeb College Bomadi, Delta State, he then proceeded to Rivers State School of Basic Studies, Portharcourt. He later obtained his Masters from the Imo State University Owerri in Christian Leadership. He also attended the INUTAR/UNOSAT Institute Genewa in 2008 where he obtained a diploma in Satellite Techology. He is an associate fellow at the African Business School, Abuja and also attended the Chartered institute of Arbitrators, Yenagoa. He went further to get his Doctorate in Christain Leadership from gmf Christain University Lagos. Prior to coming into politics, he was class tutor in Bendel and Rivers state Government. He however targets to achieve during his tenure,Sponsorship of the best for the good governance of Nigeria, Collaboration with fellow Senators to achieve their objectives, lobbying for developmental projects for Bayelsa State. 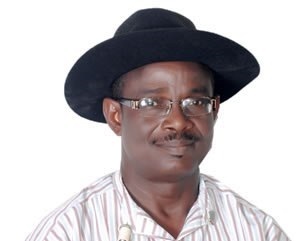 In the 2015 elections, Foster Ogola contested for the Bayelsa West Senatorial seat and won under the platform of the People’s Democratic Party(PDP).